Borobudur Temple Photo Gallery. Borobudur Temple is a new photo lightbox by Ian Hallmond.This is the world's largest Buddhist temple with construction beginning in the 8th century. 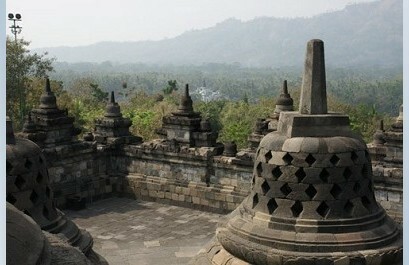 Borobudur can be found on the Indonesian island of Java. The temple is located on the outskirts of Yogyakarta in Central Java. Successive eruptions from the nearby Mt Marepi Volcano buried it under ash. The damaged monument has since been restored in part with aid from UNESCO. View more amazing photography by Ian Hallmond here.